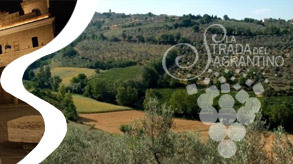 Back "Terre del Sagrantino", the event dedicated to the promotion of typical productions of driving qualities of local economic development that every year records a significant influx of tourists eager to discover and taste the beauty and delicacies of the territory. 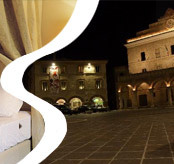 Also for this edition, in the splendid setting of the Sant'Agostino Complex, in the heart of the City of Montefalco, will be set up the exhibition-market of the Excellence of quality food and craft products: oil, cheeses, cured meats, ceramics and fabrics will be the protagonists of excellence in the Umbrian territory. 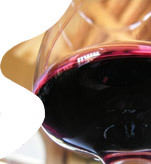 Strada del Sagrantino Association will organize a tasting in combination with typical local products on Saturday 20th April, at 5 pm at the headquarters of the Association in Piazza del Comune 17. 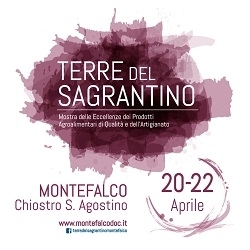 The Consorzio Tutela Vini Montefalco, instead, will be present in the Cloister of Sant'Angostino on Easter Monday, April 22nd from 12 pm to 7 pm, with the prestigious tasting counter of Montefalco Sagrantino DOCG and other local wines. Do not miss the cultural events, thanks to the initiatives organized by the Museum San Francesco Montefalco, such as "Montefalco Trek", an urban journey of about 2 hours to discover all the treasures and places of Montefalco. 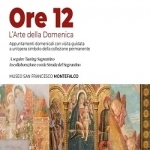 It will also be possible to participate in "20 minutes con Benozzo" at the Museum San Francesco. Every day a guided tour of study, will accompany you to discover the pictorial cycle of Benozzo Gozzoli dedicated to the life of Saint Francis of Assisi, revealing details and details. Daily guided tours at 12.00, 15.30 and 17.30. - "l'Arte della Domenica", from April 21st at 12 pm, Sunday appointments with a guided tour of a work symbol of the permanent collection and followed by Tasting Sagrantino, in collaboration with the Strada del Sagrantino Association. - "Sagrantino Bike Tour", from April 22nd at 9.00 am, bike rides with the hiking and environmental guide Cristiano Ceppi of "Mtb Valle Umbra trekking", to discover the territory of Sagrantino by stopping at the Perticaia winery associated with La Strada del Sagrantino, with wine tasting and pairing of typical products. 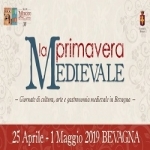 Also the folkloristic events, as usual, will be present: in Piazza del Comune on April 22nd at 11.00 am the Easter breakfast, at 3.00 pm the game of "Ciuccetta", without forgetting the show of the Historical Group Flag-wavers and Musicians City of Montefalco that will take place in the streets of Montefalco on April 21st at 3.30pm and April 22nd at 12.00pm. "THE PLACE AND THE MEMORY"
in collaboration with Strada del Sagrantino Association. Guided tour and tasting with Sommelier. Itinerant show of the Historic City Group of Montefalco. Departure from the S. Agostino Cloister. Cristiano Ceppi of "Mtb trekking Valle Umbra"
with tasting of wines and pairing of typical products. Ring circuit - Departure at 9:00 - duration 3 hours and 30 min. Bike tour cost with own bike + view and tasting € 28.00. Bike tour cost with bike rental + view e tasting € 43.00.
ancient palaces, churches, cloisters and courtyards. hidden art and unique views of the Borgo di Montefalco. Meeting point: San Francesco Museum Complex. Degree of difficulty: tourist, suitable for people of all ages. CIUCCETTA by the Historic Group Città di Montefalco. The Ciuccetta competition is an original local tradition. The competition, open to anyone eager for "Ciuccettare"
is to beat the one against each other, the goatees of chicken eggs. The winner will be the one who will remain with the egg intact. COLLECTIVE EXHIBITION "THE PLACE AND THE MEMORY"